Caponata (Sicilian: capunata) is a Sicilian eggplant (aubergine) dish consisting of a cooked vegetable salad made from chopped fried eggplant and celery seasoned with sweetened vinegar, with capers in a sweet and sour sauce. This vibrant mixture of fresh vegetables historically was served as a main course. Over time, it has evolved into a side dish, often served with fish. At Gio, we serve it as antipasti to be spread on home-baked flat bread, which Tony bakes in the Woodstone open-flame oven Caponata perfectly embodies the Sicilian affinity for agrodolce – sweet and sour. Made with vinegar and sugar, the levels of sweet and sour in caponata vary from household to household. In our version, we follow the same recipe as Tony’s mother, which means our recipe leans to the sweet side. As is traditional in Sicily, we start with the finest fresh eggplant, which we combine with other ingredients like onions, olives and capers. We cook this slowly until we achieve the perfect texture. We add Mama’s secret blend of spices and vinegar and continue cooking until vegetables caramelize, adding just the right amount of sweetness to the sourness of the eggplant and vinegar. Caponata became popular in our family, as well as most of Sicily, because in the summer we had all the fresh ingredients available, so our family jarred it and preserved it in oil, then we could enjoy it all winter long. This classic recipe probably dates to the ninth century, when many believe the aubergine was introduced in Sicily by the Saracens. Culinary historians have suggested that eggplants may have been grown in Sicily earlier, perhaps as early as Roman times. 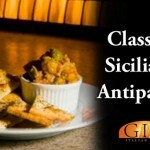 Enjoy this traditional Sicilian treat the next time you visit Gio. Ask Ryan, everyone’s favorite bartender, to suggest the perfect drink for pairing. Our New Menu Includes a New Ingredient: Beets! 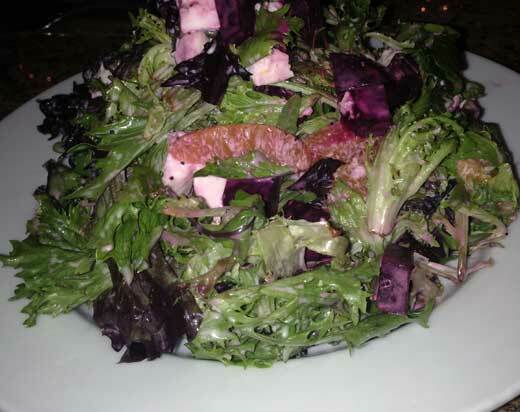 Our new beet and orange salad. A perfect starter for your meal. Two of our new menu items feature a new ingredient, beets. We love this sweet, earthy root vegetable, as do many Italians. 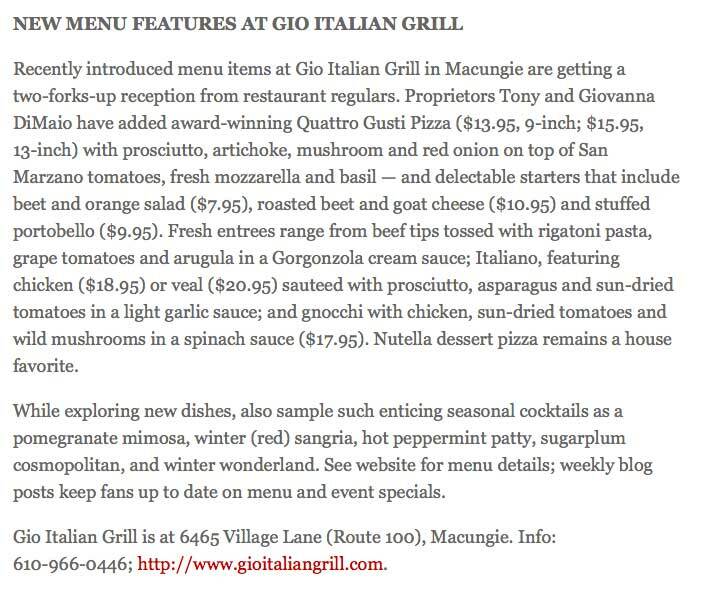 That’s why we decided to include them as part of our new, authentically Italian (yet uniquely Gio) menu. Beets? In Italian cuisine? Yes! While not always thought of as a staple in Italian cuisine, beets have been part of the Italian diet for centuries. Wild beets grow throughout the Mediterranean, where they thrive in the well-drained, sandy soil. Italians enjoyed beets in their cooking since the third century, A.D when the Romans discovered that the fleshy taproot was as delicious as the leafy chard. While you may not find beets on the menu in Italy, they are often served in the home. We also love beets because while they are full of flavor, they are low in calories and have no cholesterol. Beets also contain several plant-based anti-oxidants. A phytochemical compound, glycine betaine, is found in the root. The root also provides B-complex vitamins including niacin (B-3), pantothenic acid (B-5), and pyridoxine (B-6), and minerals such as iron, manganese, copper, magnesium, and potassium. Beef Tips – one of the new dishes on our menu. 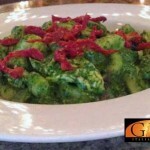 When we opened Gio Italian Grill in 2007, our goal was to create an authentic Italian dining experience with a progressive twist. In preparation, we traveled to Italy, researched the best, fresh ingredients, and studied authentic Italian cuisine. Tony interned beside local chefs at a historic restaurant in the heart of Palermo, Sicily in his quest of unique recipes. We installed one of the area’s only real open-flame pizza ovens so that we can serve true Italian pizza. 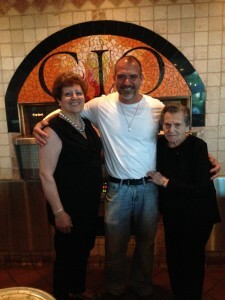 Since our opening, Gio has evolved and grown. 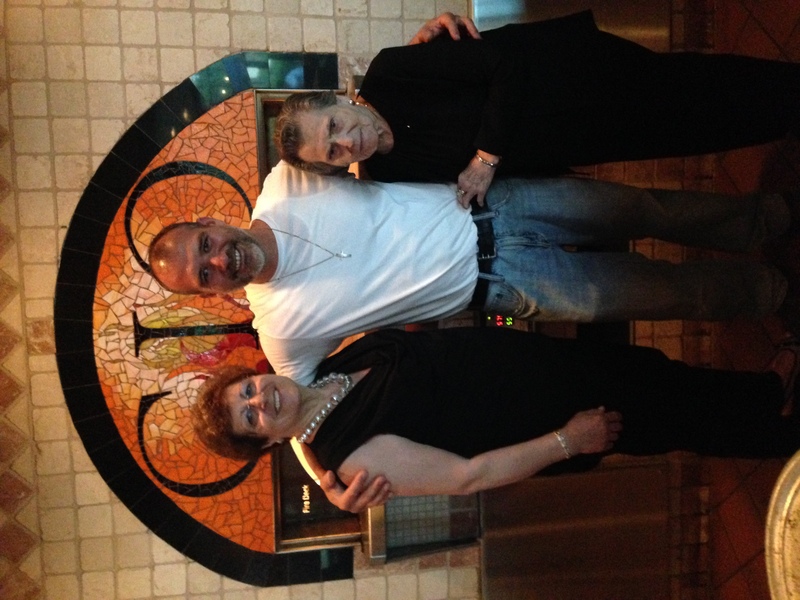 We continue to bring authentic Italian cuisine with a progressive twist to the Lehigh Valley. In fact, we have won Lehigh Valley Style’s decadent dish award year after year. But that’s not enough! We want always to be improving and bringing you the best in Italian cuisine. Beet & Orange Salad. We make this salad with fresh beets, juicy orange segments, and fresh mozzarella cheese; all tossed with spring mix in our homemade creamy poppy seed dressing. 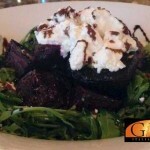 Roasted Beet & Goat Cheese Appetizer. We layer warm roasted beets and goat cheese over crisp arugula and top them with an orange zest and a tangy balsamic reduction. Stuffed Portobello Appetizer. A large Portobello mushroom stuffed with finely-chopped pepperoni, leafy spinach, and chopped garlic. Served with a spicy marinara sauce for dipping. Quattro Gusti Pizza. We top this authentic Italian pizza with prosciutto, artichoke, mushroom, red onion, San Marzano tomatoes, fresh mozzarella and basil. Yum! Baked Cavatelli. Cavetalli pasta cooked al dente and baked with homemade sausage in basil, roasted pepper cream sauce and topped with mozzarella. A rich and wonderful pasta dish. Beef Tips. 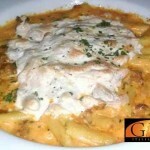 This favorite “special” has been added to our dinner menu. 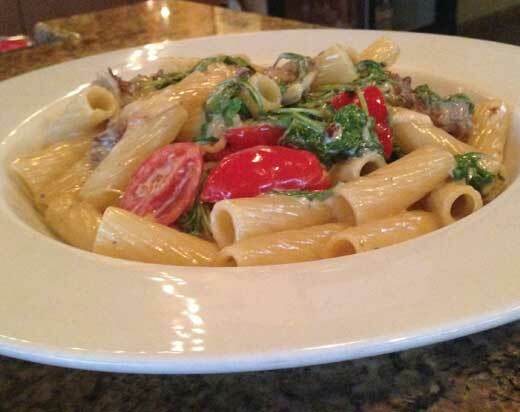 It features beef tips tossed with rigatoni pasta, grape tomatoes and arugula in a Gorgonzola cream sauce.